Trover Saves the Universe is a bizarre title, but there's a method to the madness. Rick and Morty co-creator Justin Roiland’s upcoming game Trover Saves the Universe is definitely a wacky adventure. We all knew that from the first trailer onward. But did you know it features items like “power babies?” Did you know Trover is considered a parasitic being? These tidbits and more are just a few of the things you’ll learn in Shacknews' chat with Roiland, who shared plenty of awesome info about the upcoming PlayStation VR title. "Trover is a parasitic-based alien. The power babies in his eyes are like little hamsters. The green ones get him high. They have a whole series of different abilities. Power babies will eat each other One of them is a receiver. There's one in your controller that's a transmitter, and the other one receives. The other one, he'll put it close together, and one of them will devour the other one. Then he puts it back in, and it boosts his abilities that he gets." 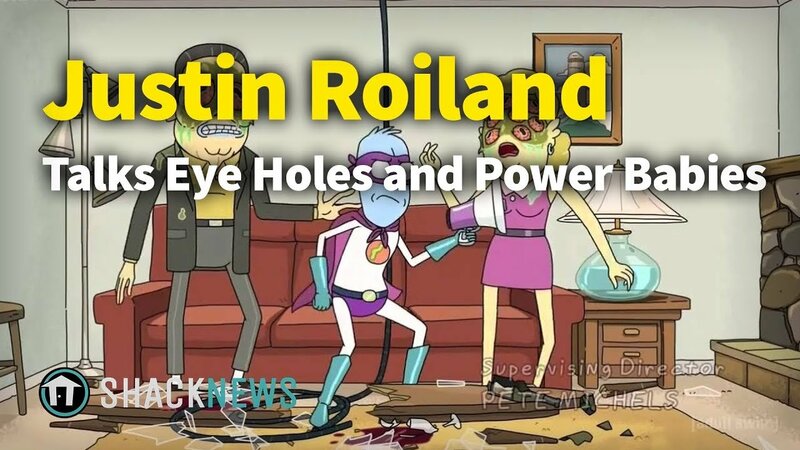 This same kind of quirkiness is exactly what will end up propelling Roiland's studio Squanch Games into success, most likely, and retaining this kind of personality is what he's interested in doing. "If a billion dollars comes our way, it'll be because we made stuff we wanted to make. We were following our bliss."